About | Gluten Free? Gimme Three! Hello ladies and gentlemen. My name is Anna and I have Celiac’s disease. I haven’t had this disease all my life, and had many glorious years of eating whatever and whenever I wanted. I haven’t intentionally consumed gluten since my diagnosis, but I am still coming to terms with the fact I will never again eat gluten. I can’t say that I’ve embraced my disease. I still complain internally nearly every day that I have to think so hard about everything I put into my body. Because, let’s face it, it’s not easy! I plan on doing a bit of griping, a little cooking, a lot of eating out, and sharing the tips I’ve learned on incorporating Celiac’s into my life, not the other way around. There are posts and reviews from the three years I spent in NYC, some reviews from my home state of Michigan, and the most recent posts are from my newest explorations in Washington DC. You probably won’t see any professional photographs, flowery prose, or deep contemplations on life here – just some basic information on living gluten free. Please comment, share, and make requests. hi, i saw your site on yelp today and just started reading it and wanted to let you know how great it is! i very recently (like a month ago) was diagnosed so am still mourning the loss of pizza and bagels on a daily basis. i live in hoboken and about a day after my diagnosis left my job in the city (woohoo) but am looking forward to trying some of the places you’ve reviewed!! Thanks so much, Alex! I know how hard it is to make the full transition to a gf diet, but there’s no better place to do it than the NYC area! I hear that there’s a great bakery in Rutherford, NJ called Sweet Avenue Bake Shop (http://sweetavenuebakeshop.com/). I also like to go to Charritos in Hoboken (you can substitute corn tortillas in most dishes, plus guac and chips). Pala Pizza and Risotteria should be your first stop! MoJo – Yes, I know that I am verrrry fortunate to have lived in places that have so many gf options. While I like cooking, eating out is one of my favorite things to do and I’m so glad that I don’t have to give it up! In the years since I’ve been diagnosed I’ve seen gf menus and restaurants spread like wildfire, so hopefully more make it your way soon 🙂 Also I don’t know where you managed to nab a boyfriend with Celiacs, but that is certainly a find! I would love to have someone to share my woes and triumphs with who really understands. Glad I found you guys! We’re a manufacturer of a new line of gluten free snacks. Check us out at http://www.elskitchen.com, and let us know if we can send you some samples. CAN you? 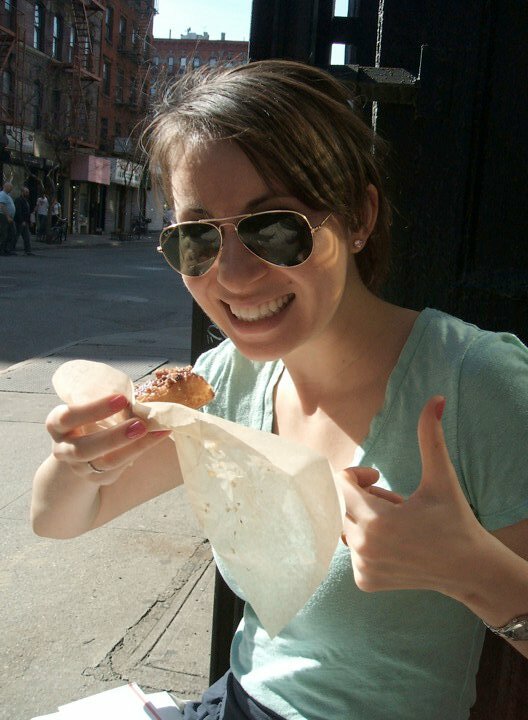 I would lovelovelove that – I used to be crazy-obsessed with Gardettos, and I miss those yummy bagel chips! I’ll email you with my info, and thanks for the offer!